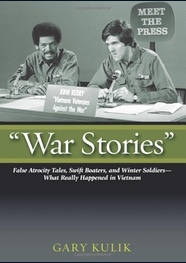 Gary Kulik, who served as a medic in Vietnam and holds a PhD in history from Brown, is the author of “War Stories”: False Atrocity Tales, Swift Boaters, and Winter Soldiers. He can be reached at gkulik@comcast.net. 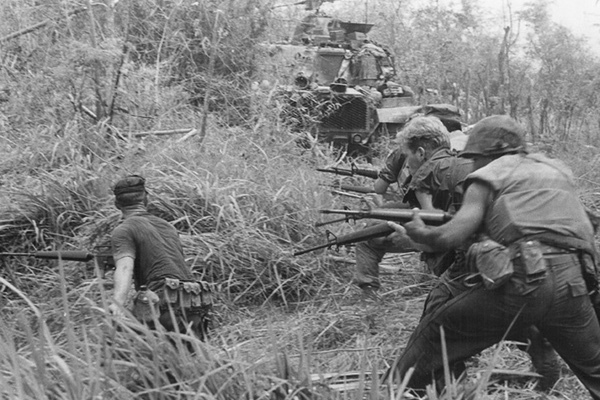 In addition to offering a one-sided, simplistic and overwhelmingly Americanist view of the war in Vietnam in history and memory, Appy gives voice to a strangely paranoid fear that he and his fellow “orthodox” historians of Vietnam, despite their commanding positions in the academy, have lost control of a narrative now dominated by “revisionist”views. The “orthodox” school, as it has come to be known, is generally distinguished by its focus on American hubris mixed with perfidy while deeming the South Vietnamese leadership hopelessly corrupt. North Vietnam’s leaders were seen as more nationalist than communist, and the Viet Cong and the NLF were depicted as a relatively autonomous force, reluctantly drawn into war after the Geneva Accords by a militarily aggressive southern “puppet” government failing to live up to those accords. These are the caricatures that continue to stunt serious understanding and have long been in need of revision. There are many distortions and exaggerations in Appy’s writing, but I can only deal here with two. He explains that his students are “shocked when they learn about the war’s wrenching realities…stunned to discover that the U. S. government, forever proclaiming its desire to spread democracy, actually blocked Vietnam’s internationally sanctioned reunification election in 1956 because of the near certainty that Vietnamese Communist leader Ho Chi Minh would be the overwhelming winner. His students deserve far better – context, fairness, balance. The U. S. did not block the 1956 election. The U. S. was never a signatory to the 1954 Geneva Accords, and it did support elections under international supervision. North Vietnam rejected such supervision, as the Pentagon Papers make clear. South Vietnam was also not a signatory, and it was Ngo Dinh Diem who made the decision not to move forward with the elections with the support of the U. S. The Geneva Accords were weak and flawed and none of the parties fully lived up to them. Would Ho Chi Minh have won an election? It’s likely - the north had a demographic edge - but we can’t know for sure. What we can know for sure was that the idea of free elections in the communist north was an oxymoron. I hope that Appy’s students learned that. I hoped they also learned that the Geneva Accords allowed for the free movement of Vietnamese across the border established at the 17th parallel. More than 900,000 Vietnamese moved south, a fact that should surprise no one conversant with the history of communist regimes, but one that left-liberal academics had to explain away – a propaganda ploy by the U. S. targeted to Catholics (CIA leaflets claimed the Virgin Mary was moving south), an argument invoked by Appy in his oral-history collection, Patriots: The Vietnam War Remembered From All Sides. Appy’s only interview marking this extraordinary migration was with a former navy embarkation officer, half of whose interview was devoted to disparaging the well-known doctor Tom Dooley. Recent research by Peter Hansen, summarized in Edward Miller’s Misalliance: Ngo Dinh Diem, the United States, and the Fate of South Vietnam gives voice to those migrants whose fear of communist reprisals and hopes for economic opportunity far outweighed the impact of the CIA’s clumsy propaganda. Apply writes that his students are “even more astonished to discover the kind of “free-fire zone” bloodshed and mayhem the U.S. military unleashed on the South Vietnamese countryside. Nothing shocks them more, though, than the details of the My Lai massacre in which American ground troops killed, at close range, more than 500 unarmed, unresisting, South Vietnamese civilians -- most of them women, children, and old men.” Well they should be. The massacre at My Lai was one of the most disgraceful days in the history of the U. S. Army. But the continuing emphasis on the war crimes committed by Americans obscures the blood-soaked nature of a civil war where no one’s hands were clean. My Lai has been written about dozens of times, while we still await a book about what was likely the largest massacre of the war, perpetrated by the VC and NVA in Hue during the Tet offensive. Unmeasured language such as “’the free-fire zone’ bloodshed and mayhem the U. S. military unleashed on the South Vietnamese countryside” displays a mindset given to universalizing American war crimes. This is a stance at odds with the best recent work on war crimes, such as John N. Horne’s and Alan Kramer’s German Atrocities, 1914: A History of Denial, a masterful work marked by specificity, fairness, balance, and the absence of prosecutorial zeal. The claim that Americans committed war crimes in Vietnam everywhere, in every year, and in every unit is central to the work of Nick Turse. Appy was a member of Turse’s dissertation committee at Columbia. Turse’s Kill Anything That Moves, a deeply flawed and wholly unbalanced account of American war crimes, emerged from that dissertation. A thorough critique of Turse’s scholarship, widely supported by “orthodox” historians, can be found in Gary Kulik and Peter Zinoman, “Misrepresenting Atrocities: Kill Anything That Moves and the Continuing Distortions of the War in Vietnam,” Cross-Currents: East Asian History and Culture Review, E-Journal 12 (Sept. 2014). The scholarly debate on the war has devolved into a stand-off between the “orthodox” and a small number of “revisionists,” many on the margins of academic life, some of whom have argued the unprovable, that the war was winnable. So here we are some fifty years after the war reprising an argument barely more sophisticated and no less emotional than the heated exchanges of hawks and doves at the time. I have no brief that we could have won the war. I believe that we had every right and every duty to assist the South Vietnamese from a communist takeover (in truth, I did not believe that then), but we did it all wrong. We had no business taking over the war on the ground. Rufus Phillips’ Why Vietnam Matters: An Eyewitness Account of Lessons Not Learned makes the case clearly and convincingly. Readers hoping for some greater measure of balance and fairness in Vietnam studies will find it, not just in Phillips, but in a new generation of scholars conversant in Vietnamese who are already reshaping the field. The work of Edward Miller, Lien-Hang Nguyen, Christopher Goscha, Pierre Asselin, among many others, offers a far more nuanced and intellectually sophisticated view from the Vietnamese sides, in the process calling into question some of the reigning assumptions of the “orthodox” school . All written history, as the distinguished historian Carl Becker once argued, is a bet against the future. I’ll place my bets with those seeking a deeper understanding of the war and against those who remain fiercely partisan.